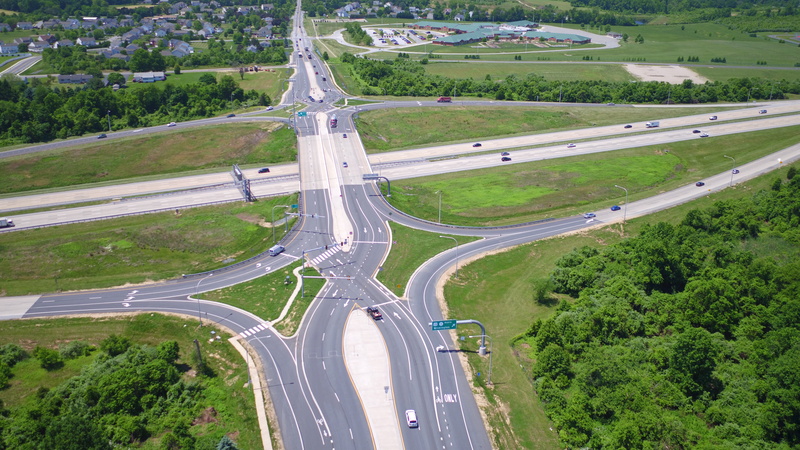 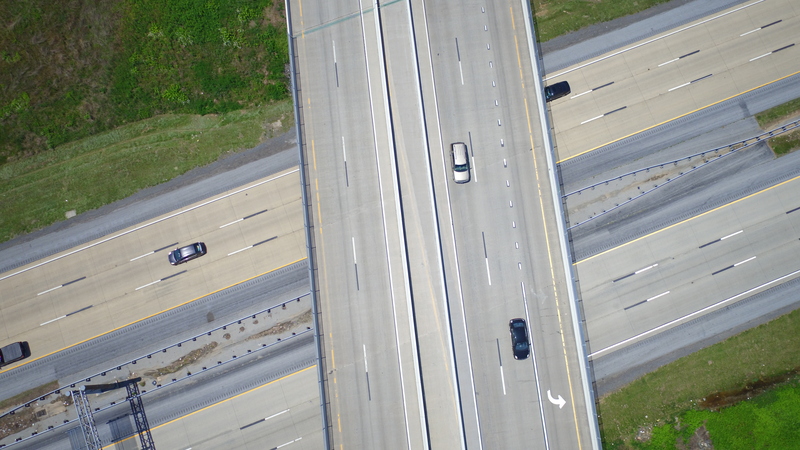 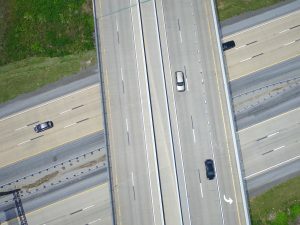 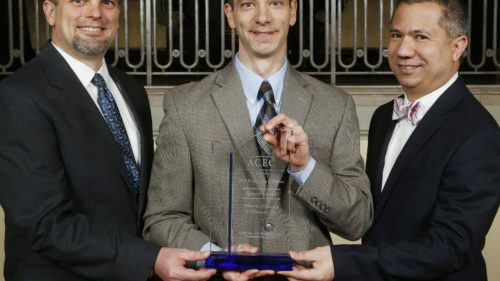 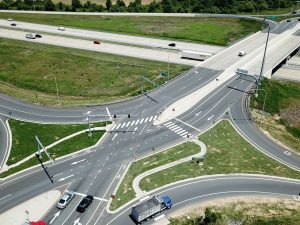 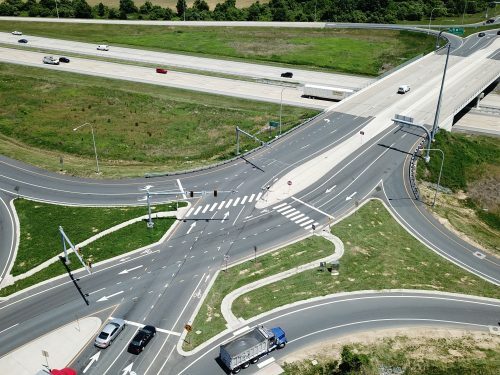 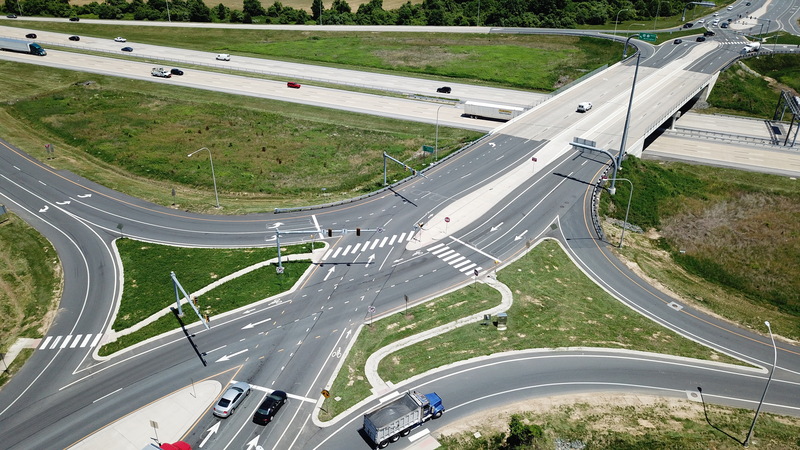 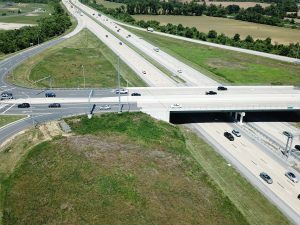 JMT served as lead designer on a design-build project to develop Delaware’s first Diverging Diamond Interchange. 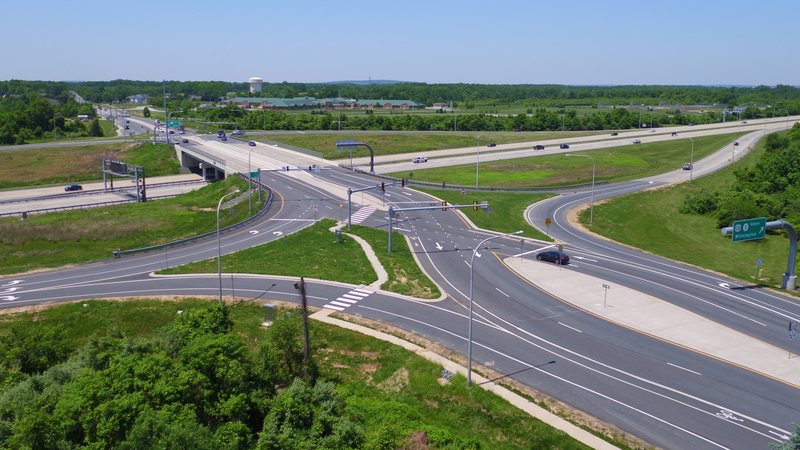 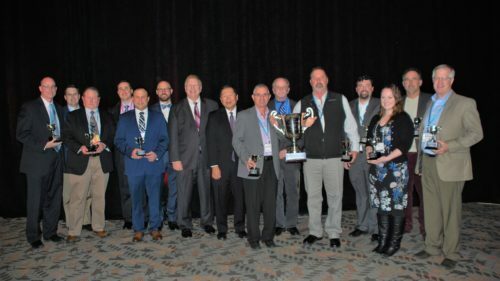 The design-build team of JMT and Diamond Materials reconfigured the existing SR 1/SR 72 interchange to a Diverging Diamond Interchange (DDI) to improve traffic operations and safety. 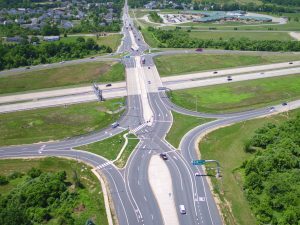 As lead designer, JMT was responsible for coordinating all the engineering disciplines and executing the design and QA/QC program. 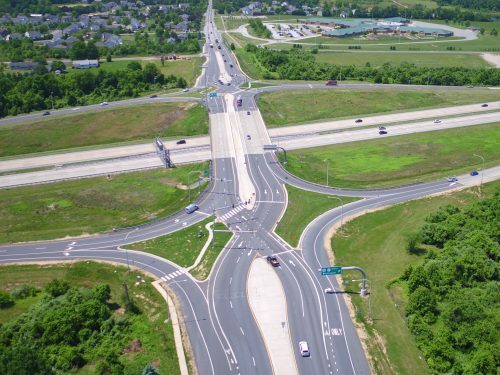 We met the aggressive, fast-tracked schedule by using a rolling design package submittal process that allowed certain elements to progress early. 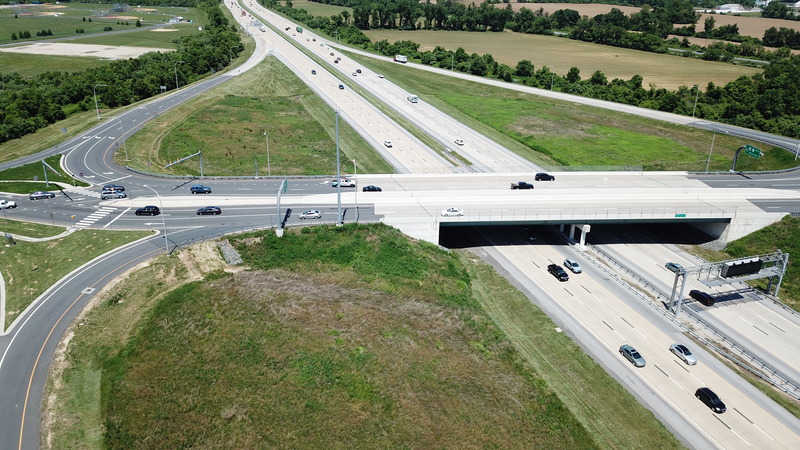 While many DDIs are built as new interchanges, the project at SR 1 involved, essentially, a retrofit of an existing interchange while maintaining traffic, which is one reason why the project was put on a fast track. 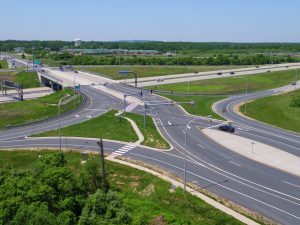 This interchange reconfiguration was needed to address the expected population growth in the area and associated roadway system improvements, as well as driver and pedestrian safety. 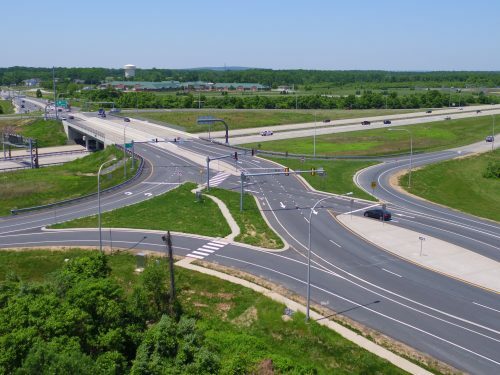 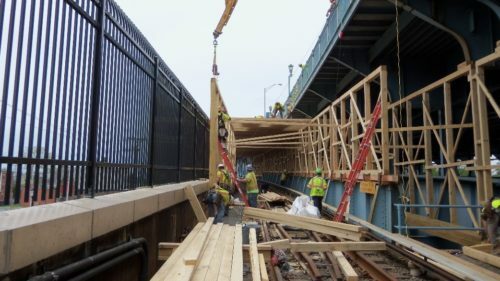 The DDI addressed these needs by allowing vehicles to enter and exit SR 1 without having to cross lanes of oncoming traffic, which also decreased congestion. JMT also provided paving; grading; signals; signing; lighting; pavement markings; fiber conduits; ADA-compliant pedestrian and bicycle facilities along both sides of SR 72; bridge modifications; and utility relocation.